Whilst working away from home last week i spent my evenings (post-currywurst!) in the hotel room catching up on lots of my favourite blogs and as soon as i saw Claireabellemakes had invited her readers into a mini tour of her newly-finished craft studio i knew i had to share it with you! 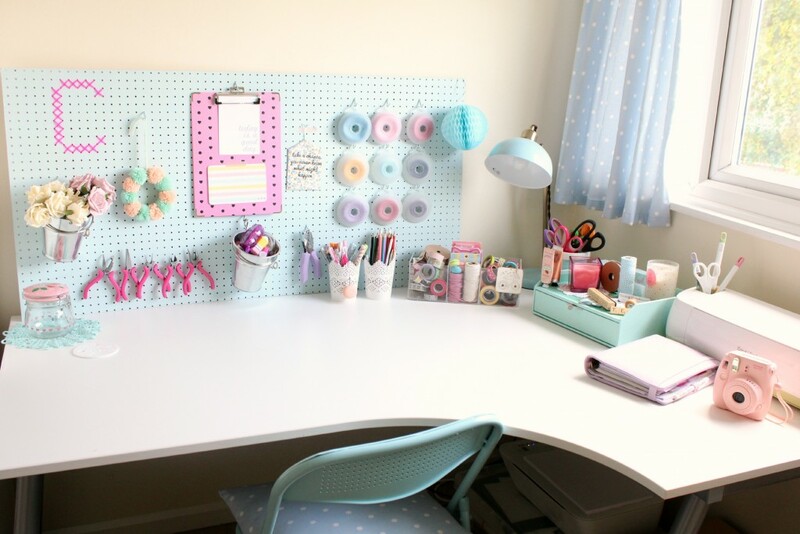 Not only has Claire made me super envious with all of her pretty pastel accessories but she's also got a rather beautiful peg board too, which is now firmly at the top of my wishlist!